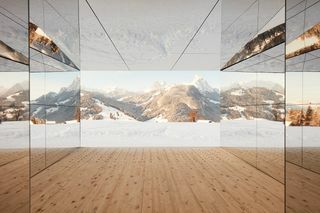 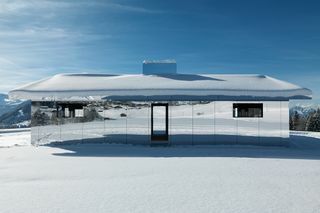 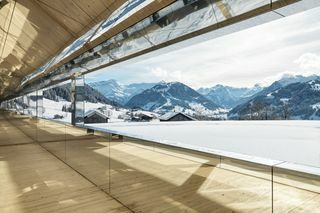 American artist Doug Aitken has unveiled his latest work, “Mirage Gstaad.” Created as part of art festival Elevation 1049, the mirrored sculpture was made to reflect the environment around it. 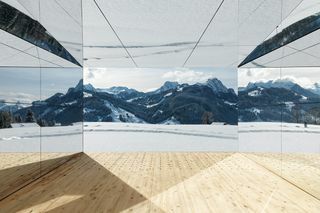 This is the latest effort in Aitken’s Mirage series; he previously installed similar houses in a disused bank in Detroit and in Palm Springs. 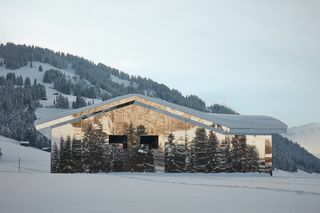 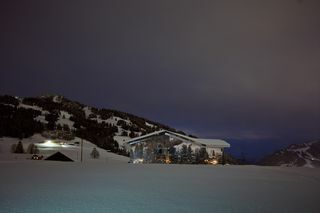 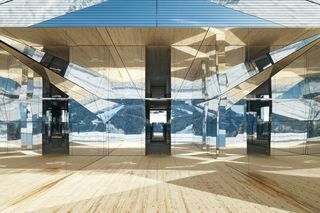 Doug Aitken’s “Mirage Gstaad” is on view now, and will remain at Gstaad, Switzerland for the next two years.